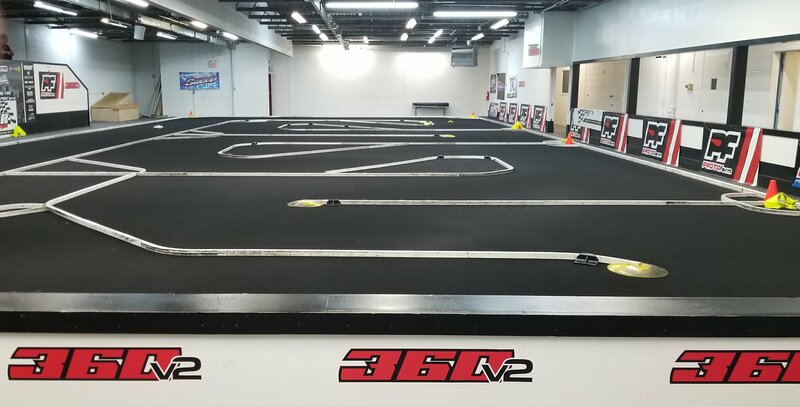 It is fall/winter time here in the North East USA, That means the full scale racing is now in the off season. 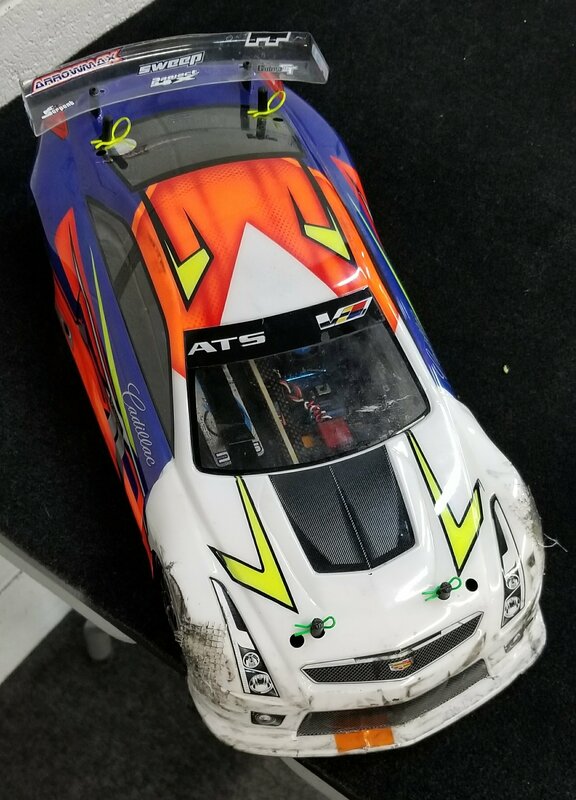 In the off season I normally go indoors and race Radio controlled cars. In the last few years I have not been able to go RC racing, so this is my first time back in 4 years or so. I pack up my old gear and head to a race track I have never been to before. 360v2 in New Rochelle NY. In the Past I raced VTA, but there are not enough racers for that class, so the next one up is USGT. I was able to pick up a 21.5 Motor, but I was short a body. I posted a message on the Tracks Facebook page and they said come and we will get you a body. They did not disappoint. I get to the track about a hour before the race starts. The crew get me set up with a pit space and give me a body to borrow. One of the other racers get me setup with gluing my front tires for me(Never raced on Black carpet). I work on fitting the body. I am left with about 10 Mins of practice before the first race and by chance I am in the first heat. Giving I just they the body on there were no body issues, but the rear end of the car is posed with a mind of its own. Aggressive oversteer would be an understatement. Phil T. The best racer there did a quick setup of my car and transmitter in the 2 mins he had before my heat. 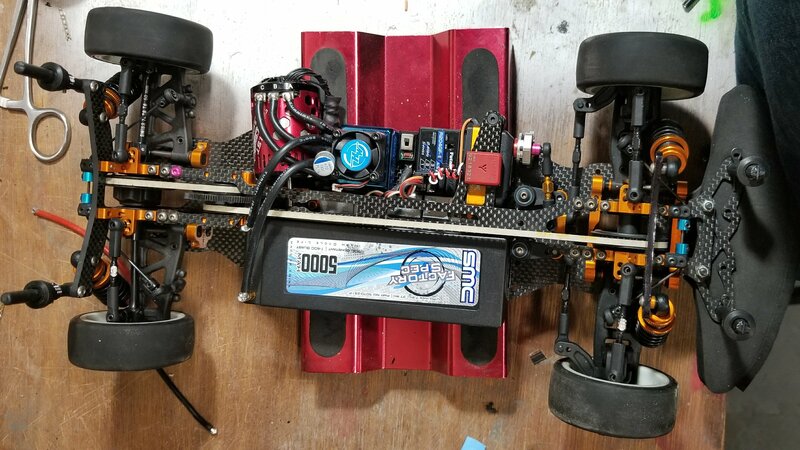 The Good: I was Probally better that I was when I stopped rc racing. I managed to stay off the boards except when the oversteer snuck up on me. Phil and Gunner set up my car agian, now having more time to do it properly. The car was 1000 times better to drive, but I was still having oversteer issues in the slow tight turns, and teetering with traction rolling with the high speed turns. The car I brought to the track was setup more for Asphalt than Black Carpet. As much as the guys there tried to help, We didn’t have enough time to fix everything. So I was still struggling with handling a bit. I started last and I expected to stay there. My goal for the night was to simple get better with every run, drive clean and have fun. About half way thru the race I found myself racing for 4th. It was a very fun few laps with Kady and I trading 4th place back and forth. I had a bit of a lead on her until I think the 17th lap. I tried to get out of the way for the leader and made a mistake and got a body tuck. Kady held on to 4th till the end. Result: Avg lap:15.8 Fastest lap: 13.7 Finished 5th, met my goals of the night of get better every run, drive clean and have Fun.